The digitalization of hospital and Healthcare records has changed the world of medicine. Not only does it take less time and cause less waste, it also makes it easy to keep the right kinds of archived records. Patient health information is much like tax information: it must be stored in certain ways and for certain lengths of time. Having a digital archive of your healthcare records is vital for avoiding situations of missing or destroyed files. Digital healthcare records archiving services can do many things. 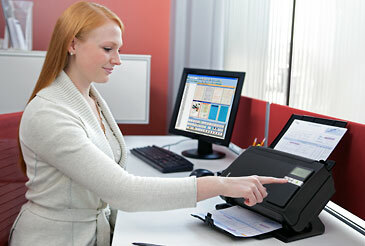 In addition to simply scanning your paperwork and creating a digital archive, they can also help you manage the database. Your archives can be made searchable, or could be used to generate templates for future archiving purposes. Once you have chosen the right Healthcare records archiving services, you’ll be able to discuss with them exactly what your needs are. It’s very important that any healthcare records archiving service you hire has strict security protocols in place. The HIPAA laws are very strict on confidentiality; if your documents are ever compromised in any way, a patient could sue for malpractice. The service must also have a logging system, clear audit trails, and the right disposal methods. HIPAA is very clear that whoever is actually dealing with medical record archiving must follow all the laws of confidentiality. Choosing the right healthcare records archiving service allows you to get your employees back on the floor with patients. Long hours spent doing paperwork and manual archiving takes time away from the patients. Many healthcare professionals have expressed frustration that they signed up to help people, and ended up doing paperwork. Instead of spending their time doing paperwork, they’ll be working directly with patients, solving problems and blessing lives. eRecordsUSA is specialized in providing Healthcare Records Archiving Services / Healthcare Records Archival Services / Healthcare Records Scanning Service. Would you like to receive a free quote to archive your healthcare records? Call +1.855.722.6669 or eMail us at info@eRecordsUSA.com. eRecordsUSA offer Healthcare Records Archiving Service in following areas of California, San Jose, San Francisco, Sunnyvale, San Mateo, Redwood City, Silicon Valley, Santa Clara, Mountain View, Marin East Bay: Fremont, Dublin, Pleasanton, Hayward, Milpitas, Concord, Livermore, Oakland, Alameda, San Ramon, Contra Costa, Napa Valley: Pittsburg, Vallejo, Santa Rosa, Fairfield, Petaluma, Sonoma, Solano & Martinez.